My friend tells the story of going on a college visit to NYC with her, then, 17 year old daughter. The first night in the city her daughter and a friend announced that they wanted to take off on the subway to go to dinner and have an adventure. My friend’s instinct was to say, “What? No way! You’re country mouse girls and this is your first day in the city!” But then, she realized, that in just a few months, her daughter would be living in Manhattan, alone. So she let them go, and pretended she hadn’t sat in the hotel room sweating until she heard them come in, giggling, late. They’d gotten lost on the subways, gone all the way to the Bronx before they realized their error, and wandered all over the city trying to find their way. They conquered the challenges and they got home safely. They were proud. So was my friend. I remember well, watching my daughter walk across her first international border alone, with her backpack and her friends and thinking, “And so it begins.” She was 14. I remember well putting my young teen sons on airplanes to attend various internships and work projects thousands of miles from home over summers. I remember thinking to myself, “I wonder whether they’ll know how to use an American washing machine…” as they disappeared through security. I had a lump in my throat. I remember well the ease with which I let my 17 year old go when we parted ways in Paris and she flew on to Germany to her boyfriend and a couple of months with a Eurorail pass. By that point, I wasn’t in the least worried. She was ready. She’s 21 now, and off again for the summer, doing social justice work related to the genocide in Guatemala and this fall to the Netherlands for year and a half of study and adventure. It’s gotten easier, with practice. Her brother, at 19 is sailing a charter boat in another country, pursuing his dream of a life at sea. Another brother, 17, is planning his month long kayak journey, alone with a friend. So trust me when I tell you, I get it. This growing up and letting them go thing is not for the faint of heart! What can we do to prepare our kids to take that leap into the world and swim instead of sinking? What can we do at the last minute, if we realize that maybe our nearly grown young person doesn’t seem quite ready? As parents, we have the opportunity to empower, or to enable our children. Hopefully, from birth we’re empowering them, handing them as much of their own life to manage as they can possibly handle, trusting them to expand their boundaries and succeed. It’s a fine balance we walk, between sheltering and protecting, picking up the pieces when they fall, and letting them face the wild winds without us and learn to keep all of their own plates spinning. The goal is to launch kids who have got their basic school educations under their belts, but who also have the life skills and the confidence to tackle hard things and move forward. There’s not a recipe for getting a kid ready to fly, but there are some things that we, as parents can do (and not do) that will give our kids the opportunity to step up to that launch pad and press the green button of their own accord. Teenagers are far more capable than we think they are, even if they don’t appear to be. They CAN manage their lives, most of the time. They often choose not to, because it’s easier to let someone else do it. 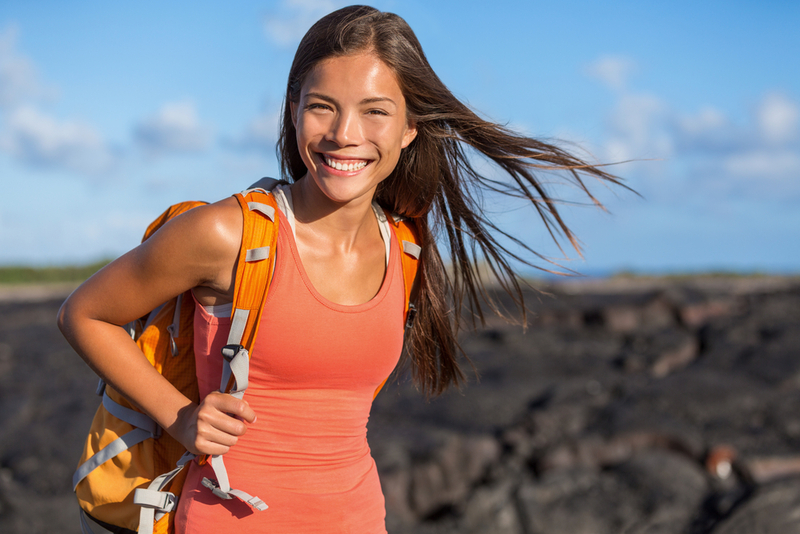 In the era of helicopter parents, hovering and micromanaging is becoming the norm, but this isn’t helping your teenager develop the independence she’ll need to travel the world. Perhaps the best piece of parenting advice we got on raising teens was to back off, as soon as possible. Hand them responsibility for their lives, and let them fly, or fail, as the case may be. Failure is a great teacher. Your teen should know that you are always in their corner, especially where this trip is concerned. There might be things to work out with your teen, concerns and worries you have, realities that need to be addressed; don’t be afraid to tackle those things head on with your young person, adulthood is all about negotiation and finding creative solutions to reach our dreams. However, make sure that your kid knows that you believe in his ability to make this journey, to solve the problems, to take care of himself and to fly in the world. Make sure he hears, second hand, about how excited you are about his commitment to this adventure, how proud you are of the hard work he’s putting in, and how you’re talking him, and the journey, up to friends and family. Your belief in his ability, and your visible support will do more to build his confidence than anything else. There are skills your child needs for this trip that she doesn’t have; that’s almost certain. Be willing to spend some time and money to equip your child. Pay for self defense and first aid classes. Purchase a plane ticket, or a rail pass, or insurance, or just the right cell phone with an international plan that will make keeping in touch with your kid easier when she’s in Cambodia. Don’t take away the just pride your child should feel in working her rear end off to make this trip happen. Don’t hand it to her. But do be willing to come along side, pick up the pieces around the margins and encourage your kid’s belief in herself by investing in her dream, just like you would for university, or a business venture. Your investment in time and money will speak to your child of the value you place on chasing a dream and putting in the hard work to achieve something that no one else is doing. This entry was posted in blog, Health & Safety, Parents and tagged Gap Year, Parents, safety. Bookmark the permalink.